Fishzone Sportfishing was established in 2005. 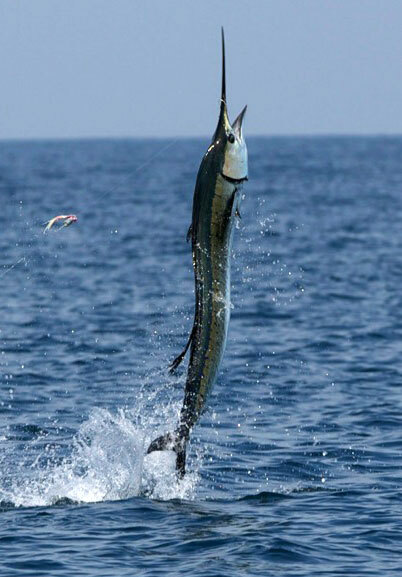 Since then, we have become one of the leading sailfish charter operators in Kuala Rompin, Malaysia. We constantly strive to give our clients exposure to this, one of the greatest sailfishing waters in the world – Rompin. We provide personalised service and all your needs will be fully taken care of from the time we pick you up till the time we drop you back off. We will guide and teach the novice angler on all the aspects of big game sportfishing and see to all the needs of the experienced angler. Nothing is too small. As we are keen fishermen ourselves, we know exactly what would make a great trip. You and your group will be fully guided and everything will be taken care of. Basically we have put together a truly all-inclusive package where you will not have to worry about a thing while on your charter. All tackle, including fly gear, is supplied unconditionally so you will not have to worry about any lost lures or damaged tackle. All terminal tackle down to bait jigs is provided. We carry a range of lures and you are free to use whichever you like. We use well-maintained, quality, Shimano & Daiwa gear. Feel free to bring your favourite rod, reel and lures and we will rig them up for you. We operate ex-Singapore so it’s recommended that you fly into Singapore Changi International Airport. We use 11-seater MPVs so you will travel in total comfort and we will pick u up from your accommodation/airport and drop you back off. We will also record your fishing moments on video and convert it into a DVD for you along with all your still shots.